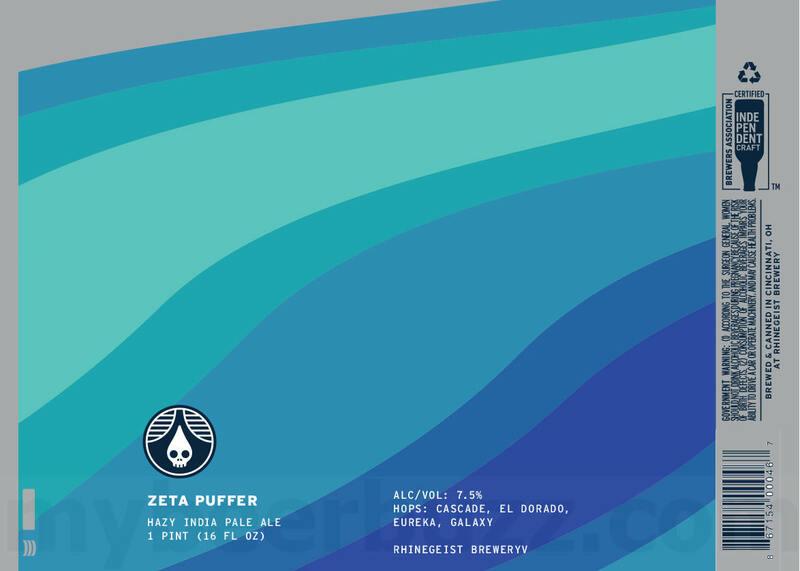 Here we have some new beers coming to cans & bottles from Rhinegeist Brewery in Cincinnati, OH. 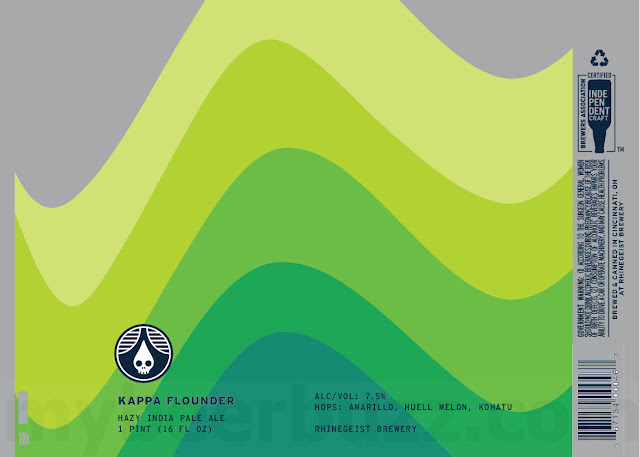 Tangerine Beams is a fruited sour ale aged for 6-months in oak foudres with tangerine puree added (5.8%-AbV, 2019 Vintage, 16.9oz bottles), Kappa Flounder is a hazy IPA with Amarillo, Huell Melon and Kohatu hops (7.5%-AbV, 16oz cans), Perceptual Passion fruited sour ale 2019 (16.9oz bottles, 5.35%-AbV), Hang Six Brut IPA (6.6%-AbV, 16oz cans ) & Zeta Puffer hazy IPA (7.5%-AbV, 16oz cans). Stay tuned for release info and more packaging.